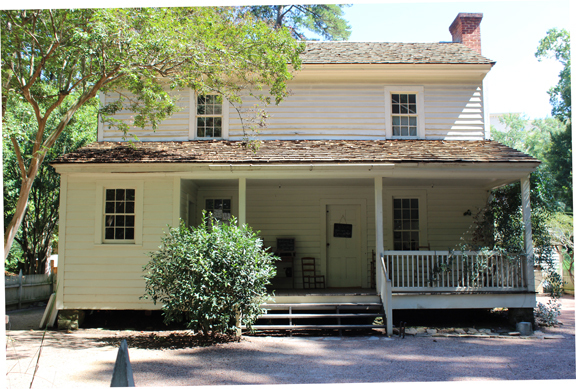 As I walked around the extensive Atlanta History Center grounds a few weeks ago, I came across a farm-house from the mid 1800s. Barns for various animals surrounded the structure. The house had a wooden fence along part of its perimeter, probably to keep the animals from roaming too close to the house. 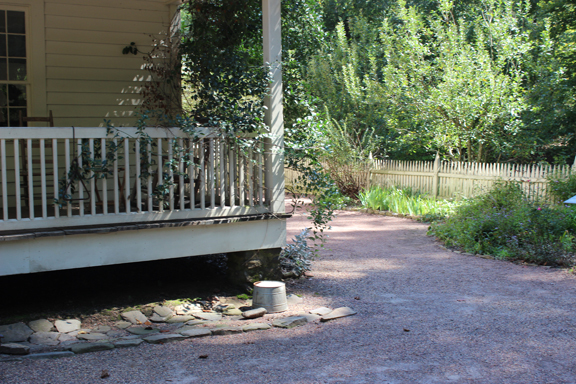 Then I noticed that there was no front lawn, but rather a swept area of soil outside the front door, along the front, and on each side of the house as well. The fact that no lawn surrounded the house caught my attention. This landscape represented a certain time period in American garden history. The word ‘yard’ has had a series of meanings for the landscape over the centuries. Here it includes the area that surrounds the front of a nineteenth century rural house.